The City of Raleigh and the Fair Housing Hearing Board is proud to announce its 12th Annual Fair Housing Conference. The conference will be held on Friday, April 10, 2015 at the McKimmon Center, located at 1101 Gorman Street, Raleigh, NC 27606. Registration is now open, but space is limited to 200 registrants. You must be 18 years or older and pre-register to attend. There is a non-refundable registration fee. 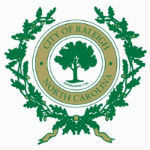 Please check the appropriate box below and make checks or money orders payable to: City of Raleigh. Registration payment must be received by April 3rd. Sponsors: City of Raleigh Fair Housing Hearing Board and the Fair Housing Project, Legal Aid of North Carolina. Schedule: Check-in and Breakfast 8 a.m.- 9 a.m.; Conference, 9 a.m.-2 p.m.
Keynote speaker: Gustavo F. Velasquez, Assistant Secretary for Fair Housing and Equal Opporunity, U.S. Department of Housing and Urban Development. 9:15 - 10:30 - Fair Housing and Educational Equity. All registration fees must be received by April 3rd. If you are paying for more than one person, please submit a registration form for each individual. If payment is being sent in separately please include the name(s) of the individual(s) payment is for. Note: Once 200 registrations have been received, registration will be closed. Questions? Please call Kristina Pendergraft in the Community Services Division at 919-996-6100. Yes, I live in Wake County. You will receive my early registration check for $10.00 by April 3rd. Yes, I live in Wake County. You will receive my late registration check for $15.00 by April 3rd. No, I do not live in Wake County. You will receive my early registration check for $15.00 by April 3rd. No, I do not live in Wake County. You will receive my late registration check for $ 20.00 by April 3rd.